Medical Assistants like spending time with patients, but they’re also capable of carrying out important office-type tasks. Change is constant, so they have to be comfortable doing different things each day. They also get along with people easily. Medical Assistants perform routine administrative and clinical tasks in the offices and clinics of physicians, podiatrists, chiropractors and optometrists. In small practices, they are “generalists,” who handle both administrative and clinical duties and report directly to an office manager, physician, or other health practitioner. Those in large practices tend to specialize in a particular area under the supervision of department administrators. 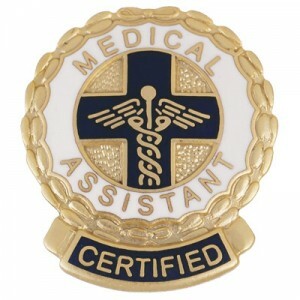 Medical Assistants perform many administrative duties. They answer telephones, greet patients, update and file patient medical records, fill out insurance forms, handle correspondence, schedule appointments, arrange for hospital admission and laboratory services, and handle billing and bookkeeping. Clinical duties vary according to state law, and may include taking medical histories and recording vital signs, explaining treatment procedures to patients, preparing patients for examination, and assisting the physician during the examination. Medical Assistants collect and prepare laboratory specimens or perform basic laboratory tests on the premises, dispose of contaminated supplies, and sterilize medical instruments. They may also instruct patients about medication and special diets, prepare and administer medications as directed by a physician, authorize drug refills as directed, telephone prescriptions to a pharmacy, draw blood, prepare patients for x rays, take electrocardiograms, remove sutures, and change dressings. Medical Assistants may also arrange examining room instruments and equipment, purchase and maintain supplies and equipment, and keep waiting and examining rooms neat and clean. What Does Our Medical Assistant Program Offer You? We could tell you… “Absolutely.” But, what we prefer to do is to encourage you to do the research yourself. Get a copy of your local newspaper and read through the Healthcare job listings. Look for your potential job category and see for yourself how many great opportunities will be available to you when you complete your MediCollege training. Jump online and search some of the excellent job resource websites for opportunities in your field. The jobs are out there… so don’t wait any longer if you want to work in Healthcare. Come to MediCollege and we’ll prepare you quickly and thoroughly for your new career.